On the 9th of June 2017, Outside The Frame Arts in collaboration with HOME arts centre, produced an event which brought acclaimed Palestinian playwright Ahmed Masoud to Manchester to deliver an exclusive writing workshop with participants. Having had the pleasure of engaging with his work through our initial project Platform For Palestinian Arts in 2016 and realising the demand that exists for a much more diverse body of literature, we wanted to continue the work with our ethos in mind, platforming voices that are unheard in the mainstream and challenging the gatekeepers of knowledge. Too often minority voices are silenced, written for, spoken to or erased completely and the crucial need to decolonise, re-center and give agency back to individuals to narrate their own stories is just as pertinent now as it ever was. So, funded and supported by Future Ventures Radical Arts Fund, Outside The Frame Arts arranged for the workshop to be held in the morning and was attended by 15 diverse participants from a variety of creative backgrounds. 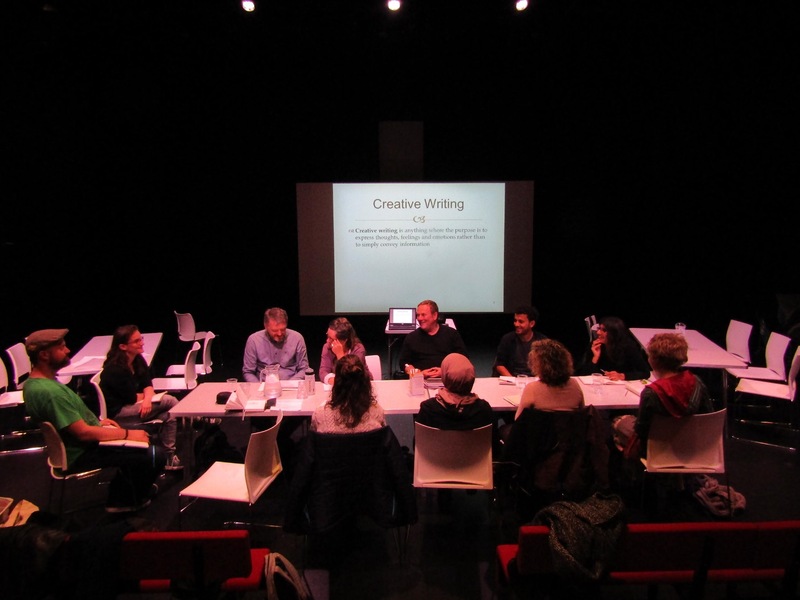 The workshop explored aspects of theatre writing including storytelling, plot devices and character building as well as giving participants an insight to the challenges faced by Ahmed Masoud’s writing as a person of colour in a world where the Palestinian narrative is so contested. Themes raised in the workshop included the representation of trauma, the silenced voice, comedy as a political tool and the nuances of our human condition. Everyone was encouraged to share and the inclusive workshop was useful to the participants in terms of their creative development. Ahmed’s encouraging and positive manner provided a safe and comfortable space for learning and many were inspired by the diverse writing and technical tools he introduced them to.